The Peculiar Crimes Unit site here now has eight filing cabinet drawers full of esoteric bits and bobs on the Peculiar Crimes Unit, writing, mysteries, crime, weird books, maps and – coming soon – artwork. This means that all things Bryant & May are now in one place, and everything else, including details about several new books and projects I’ve got coming up this year, will be right here, along with all your usual bloggety needs. There’s still some tidying to do on both sites, but we’re getting there. 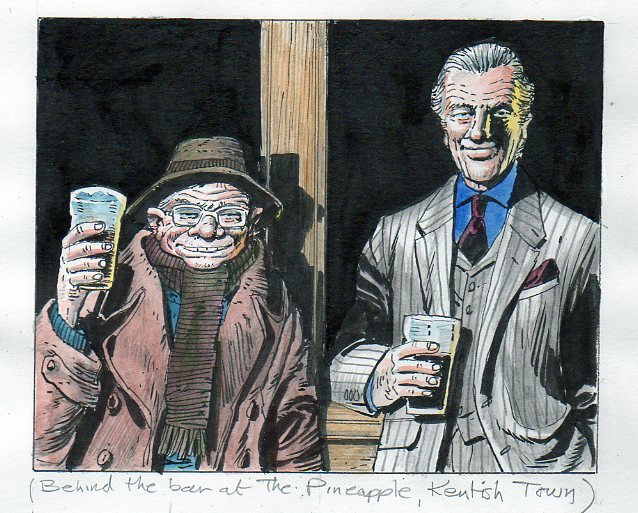 I’ve now finished writing the first Bryant & May graphic novel, which will be called ‘The Casebook Of Bryant & May 1: The Soho Devil’. Putting in an order. This should be great. I’ll just squeal with anticipation yet again for that graphic novel -cheers! I’m with Martin, an ‘updated’ icon, or something similar, would be a great addition. Looking forward to seeing the artwork! I try to avoid squealing whenever possible, but I can’t wait! The PCU site is brilliant! It makes me want to re-read them all. Would LOVE to see Keith Pages’ interpretations of the PCU staff! In particular Janice and Gladys with their wonderfully wild dress sense! I imagine poor old Crippen resembles the scruffy, balding flea-ridden Cosmic Creepers from Bedknobs & Broomsticks and have absolutely no qualms about squealing as often as possible until the new novel is in my hands complete with amazing artwork! ER, Will the case book be available in the UK? Any news on if B&M 9 and 10 will get UK release? Thank you for the books. They are a joy to read. Yes, Bryant & May 9 & 10 will both be released with their own covers here in the UK. Thats Great news. Thank you and thank the publishers too. Can’t wait!! Not sure if this is the right place to leave this, but over on the PCU website there was a request for another mention of Dr Peter Jukes who features in the Victoria Vanishes. The first mention I can uncover is in Ten Second Staircase were John May is telling April about some of the interesting cases the unit has lined up when she first joins them. It’s toward the end of chapter 3, sorry but I can’t give a page number because I listen Bryant and May via Audible. These novels are always highlights in my reading/listening time and I cannot wait for the Bryant and May goodness coming over the next months. Don’t worry – that story arc gets taken up again in ‘The Memory Of Blood’ next up.